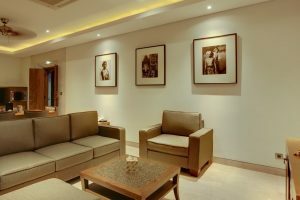 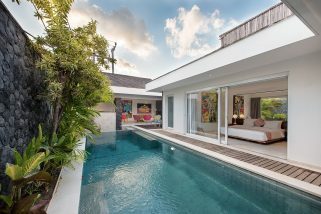 The living aeas are spacious and tastefully decorated featuring generous living area, western standard kitchen and dining facilities, private pool with sun loungers and an outdoor shower by the pool. 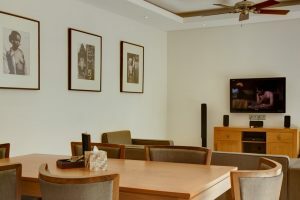 The living area provides a comfortable sofa to view your 42″ LED color TV with satellite/cable TV (over 60 channels available), a DVD player with Bose Sound System, 3.5 mm audio auxiliary cable for iPod, iPhone, and iPad, Wi-Fi Internet connection, Air Conditioner, and ceiling fans in every room. Two King size bedrooms comfortably sleep 4. 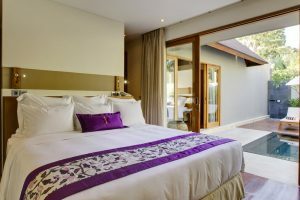 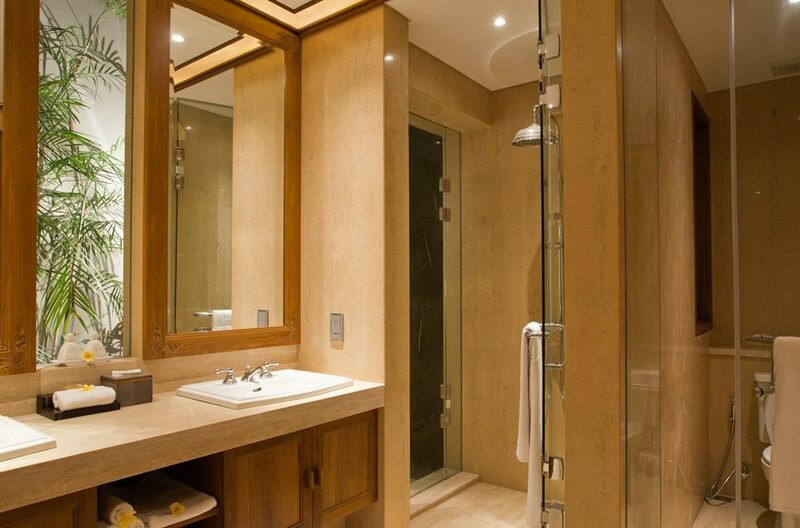 All rooms feature king-size beds, dresser, electric safety box, and en-suite bathroom with bathtub, separate shower, toilet, cotton bathrobes, bathroom amenities, hair dryer, and digital weight scale. The master bedroom offers an additional outdoor garden shower in the master bathroom. 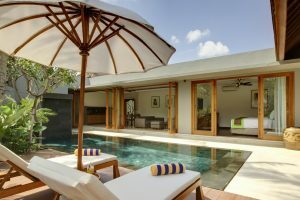 In-villa private dining breakfast, lunch, dinner, or barbeque arrangements can be made by our staff with 24-hour front office and security officers, laundry and dry cleaning services. 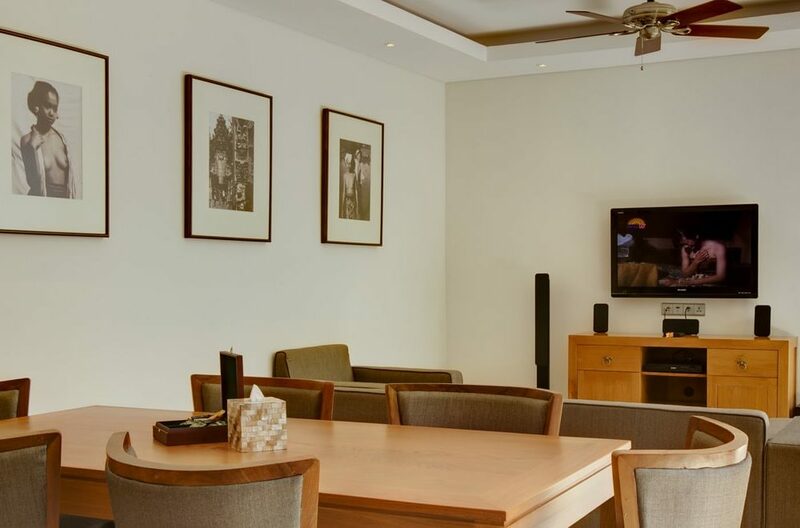 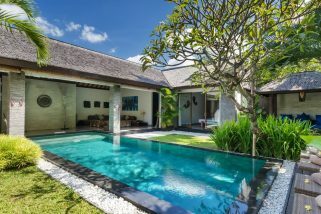 It’s strategically located nearby the fabulous neighbourhood of Seminyak Village, 25 minutes drive from the airport, 10 minutes walking distance from Seminyak Beach, stunningly unique Petitenget Temple, classy fine dining restaurants, clubs and bars. 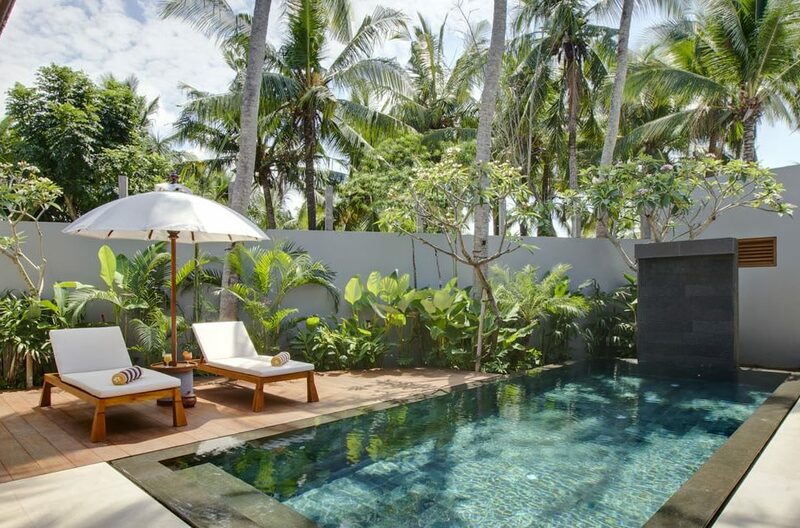 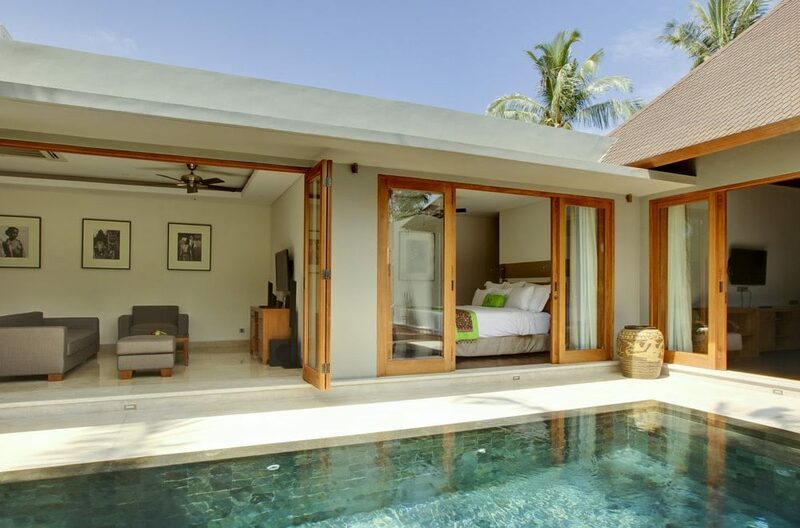 Villa Abida is a gorgeous two-bedroom property that exudes sophistication and warmth. 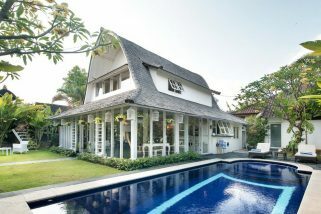 This dreamy holiday villa boasts ultra stylish monochromatic interiors that are peppered with unique ornaments and eye-catching embellishments. 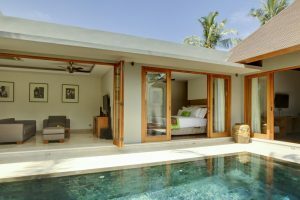 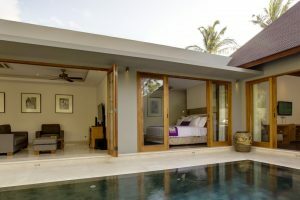 Designed in a linear, ‘Long House’ structure, Villa Anjali Blue in Seminyak is a four-bedroom traditional Balinese home which is part of the private estate Anjali Villas – home to four individual villas.